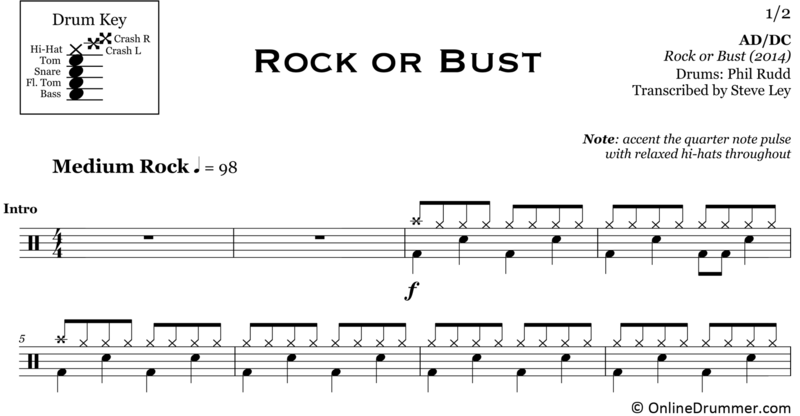 The full drum sheet music for “Rock or Bust” by ACDC from the album Rock or Bust (2014). Can you believe this is ACDC’s 17th studio album? This Australian hard-rock group has stood the test of time. 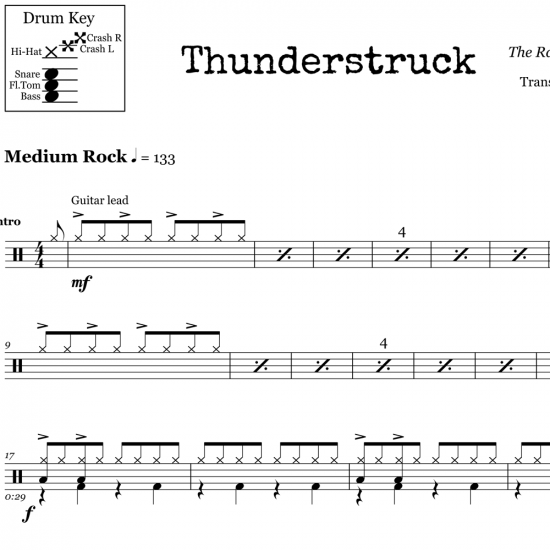 Phil Rudd boasts an aggressive approach to a basic drum part. Be careful with the timing of the guitar intro. 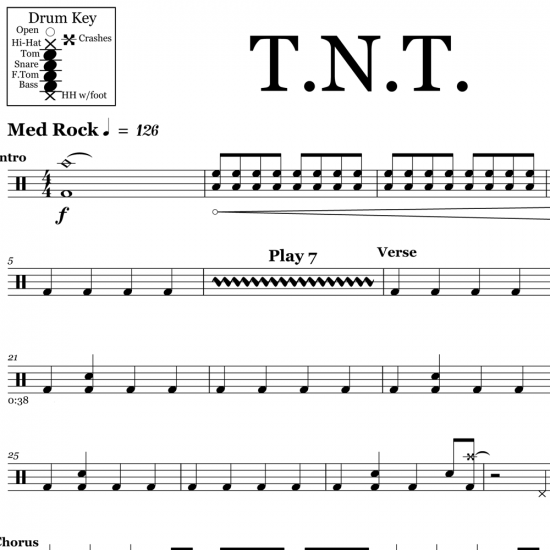 The first bar is emphasizing the downbeats and then switches to the upbeats (i.e. “&s”) on the second bar. This can confuse the time, which of course makes the song more interesting.